CAIRO: The Arab League called Thursday for an international probe into alleged crimes by Israeli forces against Palestinians following mass protests on the Gaza border that saw dozens of demonstrators killed. Tens of thousands have protested along Gaza’s border with Israel since March 30 calling for Palestinian refugees to be able to return to their homes now inside Israel. The largest demonstrations coincided with the move of the US embassy in Israel from Tel Aviv to Jerusalem on Monday, which saw Israeli forces kill some 60 Palestinians. 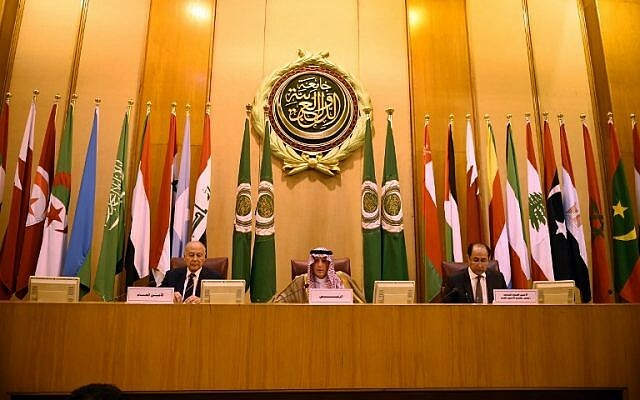 “We call for a credible international investigation into the crimes committed by the occupation,” Arab League chief Ahmed Abul Gheit said at an extraordinary meeting of Arab foreign ministers in Cairo on Thursday to discuss the violence. Turkish President Recep Tayyip Erdogan will on Friday host an emergency summit in Istanbul of the world’s main pan-Islamic body, the Organisation of Islamic Cooperation (OIC), which he said would send a “strong message to the world”. Erdogan, who also announced plans for a pro-Palestinian rally, has exchanged bitter accusations with Israeli Prime Minister Benjamin Netanyahu, calling Israel an “apartheid state” and ordering the country’s ambassador to Turkey to leave. Weeks of protests and clashes along the border may be reaching an end as Ramadan begins, but the death toll has led to international condemnations of Israel and calls for an independent investigation. “We are facing a state of blatant aggression against international law and legitimacy which was embodied by the US embassy’s transfer in the occupying state to Jerusalem,” said Abul Gheit. Israel has rejected those demands, saying its actions are necessary to stop mass infiltrations from the blockaded Palestinian enclave controlled by Islamist movement Hamas.